First World War films have suffered a mixed reaction over the last few years. The Canadian ‘Passchendaele’ combined some disturbing and gritty action scenes with a ridiculous love story; Australian production ‘Beneath Hill 60’ convincingly conveyed the tension of the underground war; and War Horse was, well, at least faithful to the theatrical production. From the very outset Forbidden Ground suffers something of an identity crisis. It is often remarked that the Australians are fixated on Gallipoli as the defining moment of their First World War experience at the expense of their (not inconsiderable) contribution on the western front. With actions such as Fromelles, Pozieres, Broodseinde, and Hamel among others – as well as the award of over 60 Victoria Crosses – there are plenty of real life stories from the war that could provide the plot for an Australian film. What is therefore surprising is that although this Australian-produced, directed, and acted film is set on the western front, it centres on an unspecified British battalion in an unspecified year of the war and the experiences of three of its soldiers caught out in no man’s land. My hopes of a high quality film were sadly dashed within the first five minutes. Stereotypes abound, from the haughty and superior officer who has no compunction in sending his men over the top to certain death, to the war-weary Sergeant Major (played by co-director Johan Earl) and the fresh-faced optimistic Private. Perhaps the worst case however is the German officer who manages to maintain a lip-curling sneer throughout the whole film whilst making it his personal vendetta to finish off the three soldiers. The action creaks along as the men try to evade the Germans and get back to their trench, interspersed with the obligatory love interest subplot. The film’s low budget is apparent, with some middle of the road special effects making up for the lack of large set-piece actions. Elements of the film do not ring true, not least the dodgy British accents of the Australian cast. First World War pedants will no doubt have a field day pulling up inaccuracies in weapons and equipment; the early appearance of an officer already wearing ‘Pip, Squeak, and Wilfred’ medal ribbons did make me bite my tongue and is symptomatic of a production that would have benefited from further research and time invested in it. 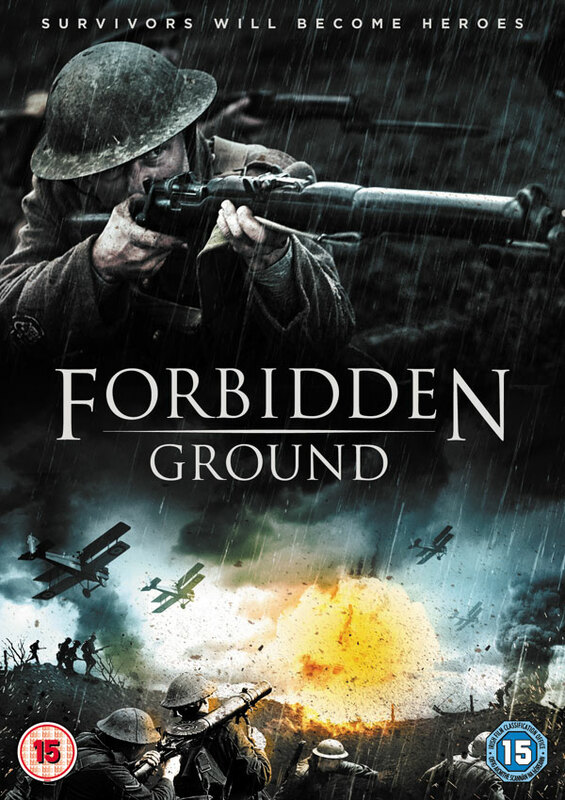 Whilst the film manages to convey some of the horrors of the war, dangers of no man’s land, and accompanying fear, overall Forbidden Ground unfortunately suffers from a lacklustre plot and clunky execution.